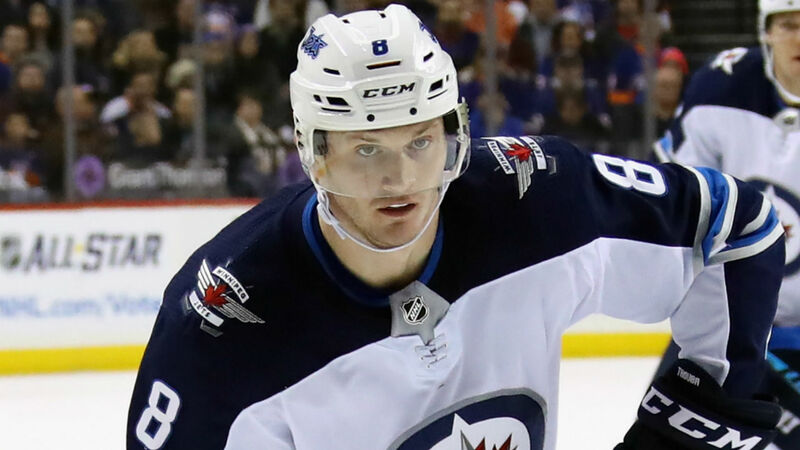 Jets defenseman Jacob Trouba became this summer’s first noteworthy player to have his contract for next season awarded via arbitration. After going through a hearing on Friday, the 24-year-old received a one-year deal worth $5.5 million. Both sides were reportedly far apart in terms of dollars. The Trouba camp sought $7 million while the Jets proposed $4 million. The arbiter obviously decided the middle ground was the fair one, something the blueliner and his club’s management failed to agree upon. Trouba will once again become a restricted free agent with arbitration rights next summer. He’s also just two years away from eligibility for unrestricted free agent status. As a result, there’s questions about whether he has a long-term future in Winnipeg. Prior to the arbitration award, the Winnipeg Sun’s Ken Wiebe said he expected Trouba will remain with the Jets throughout 2018-19. NBC Sports’ Scott Billeck agreed, believing moving him now or during the season isn’t the best option for a club hoping to make a Stanley Cup run next spring. The two sides could perhaps avoid another arbitration hearing next summer by agreeing to a long-term contract after Jan. 1, 2019. Paul Wiecek of the Winnipeg Free Press, however, is skeptical. He suggests the hearing may have left “a lasting scar” on their relationship that could lead to Trouba’s eventual departure. Salary cap constraints could also determine Trouba’s future with the Jets. Wiecek’s colleague Mike McIntyre observed the Jets also face re-signing Blake Wheeler, Patrik Laine, Kyle Connor and Tyler Myers next summer, along with supporting players Andrew Copp, Joe Morrow, Brandon Tanev, Ben Chiarot and Laurent Brossoit. McIntyre suggests parting ways with Trouba could be one option for dealing with a potential cap crunch. Time will tell what the future holds for Trouba and the Jets. Still, his current contract and free-agent status next summer ensures he’ll continue to surface in trade speculation throughout 2018-19. In recent weeks, Artemi Panarin’s reported reluctance to discuss a contract extension with the Blue Jackets made him the subject of considerable trade speculation. The 26-year-old left wing will become an unrestricted free agent next summer. He carries a $6 million cap hit for 2018-19 and lacks “no-trade” protection. A mid-July meeting in Paris between Panarin and Blue Jackets general manager Jarmo Kekalainen failed to make headway toward opening contract talks. Instead, he informed Kekalainen he didn’t want to discuss business matters beyond Sept. 13, when the Jackets open training camp. Given Panarin’s current unwillingness to consider a contract extension, The Athletic’s Aaron Portzline considers his deadline to be meaningless. It could merely put more pressure upon Kekalainen to make a suitable trade before training camp begins. Panarin’s position isn’t based upon any unhappiness with his teammates, the Jackets organization or the club’s fans. According to agent Dan Milstein, his client isn’t sure if he wants to spend seven or eight seasons in Columbus. It’s thought Panarin prefers going to a larger market such as Los Angeles, Florida, the New York area or back to Chicago, where he began his NHL career. The Boston Globe’s Kevin Paul Dupont wonders if the Bruins could be an option, believing Panarin would be a dream fit alongside center David Krejci on the Bruins’ second line. While Boston lacks a large Russian community compared to those other NHL cities, Dupont points out it’s a world-class city with the Bruins being a perennial playoff contender able to afford Panarin’s salary. He admits, however, the Blue Jackets’ asking price could be a couple of promising youngsters such as winger Jake DeBrusk and defenseman Brandon Carlo. Kekalainen and Milstein said they expected Panarin will be in the Blue Jackets lineup to start the season. Nevertheless, the pressure is now squarely upon the Columbus GM to find the best deal he can. The uncertainty over Panarin’s future will be an unnecessary distraction for his teammates and the club’s fans. It’s believed Kekalainen has received some trade offers for Panarin, but they’re primarily packages of draft picks and prospects. His preference is one or two good young players who can provide immediate help. He could be forced to wait until next February’s NHL trade deadline for the right opportunity to present itself. Who is Marin Cilic’s wife Kristina Milkovic and when did Croatia Davis Cup star get married?